Finally, after seventy years of official denial, deception, and obfuscation, UFO Truth is fast approaching. It’s coming to us not by way of some intrepid investigative journalist, nor through the efforts of leakers and whistleblowers like Julian Assange or Edward Snowden, but, rather, through the former lead-singer of a pop-punk band. This, at least, is what a great many in the UFO community are intent on believing. We’re talking, of course, about Tom DeLonge. Over the past several months, the former Blink 182 frontman has received significant media attention for his claims of secret meetings with government insiders who have been briefing him on what some believe to be the most politically sensitive topic of our time—UFOs. Unlikely as this sounds, we know for a fact that DeLonge has met at least once this year with Hillary Clinton’s campaign manager and former White House Chief of Staff, John Podesta. This is interesting, but perhaps not surprising considering Podesta’s longstanding and very public interest in flying saucers. DeLonge is not the only UFO buff Podesta has given his time to over the years. More intriguing are recent WikiLeaks revelations apparently confirming a dialogue between DeLonge and Major General William McCasland. Commander of the Air Force Research Laboratory at Wright-Patterson Air Force Base in Ohio, McCasland is responsible for managing the Air Force’s $2.2 billion science and technology program and is, one would assume, in a position of direct access to highly classified technologies. 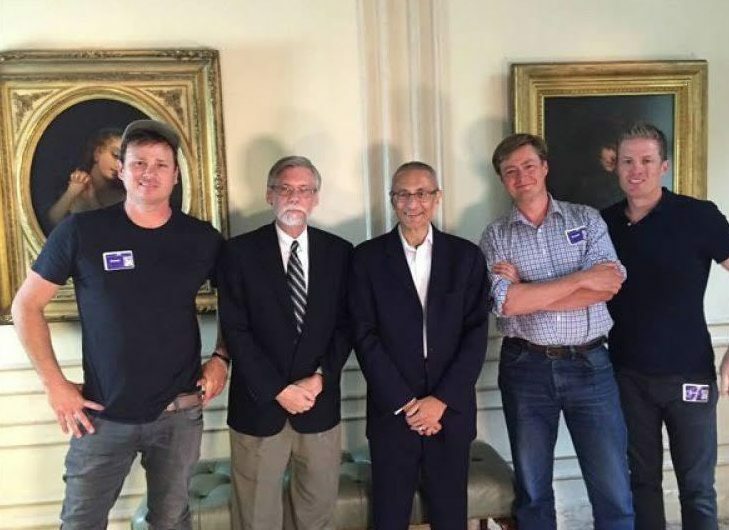 Tom DeLonge (far left) with John Podesta (center). For now, let’s put to one side DeLonge’s commercial exploitation of an issue he insists is of unparalleled socio-political significance. Forget about the tie-in merchandise. For now, let us ask, simply, is DeLonge telling the truth? So far, he’s given little reason to suspect wilful deception on his part. I, for one, have no doubt that certain people in positions of influence are feeding him information. If he gained access to Podesta and McCasland, it stands to reason he may have held meetings with other figures in the corridors of power, as he claims. Quite how much these individuals can state with any authority on UFOs is another question entirely, as is their collective motivation for sharing their claimed knowledge of the phenomenon with, of all people, an MTV star. Surely this would represent a flagrant violation of the US National Security Act? Not according to DeLonge, who implies he has been chosen as the unofficial voice of an official Disclosure effort—he’s a frontman once again, it seems, but his new ‘band’ suffers from stage fright, preferring to perform from behind a black veil. The UFO phenomenon is real. While non-human intelligences play a part in the long history of UFOs, the modern phenomenon is more the result of top secret human research and development programs. These technologies have been concealed from the public for legitimate National Security reasons—multiple nations have long been engaged in a secret Cold War struggle for access to and control of UFO technologies. Naturally, this all has far-reaching implications for global security. A vehicle that’s going to allow some very important men and women at the highest levels of office and rank within the Department of Defense to put in information so people can understand all the things they want people to understand about this topic. I wanted to reverse people’s cynical view of government… there are people in government doing really heroic work. When people hear this they’re going to be so relieved that [it’s] not some big, bad secret government. It will change the way people feel about our military and intelligence leadership. 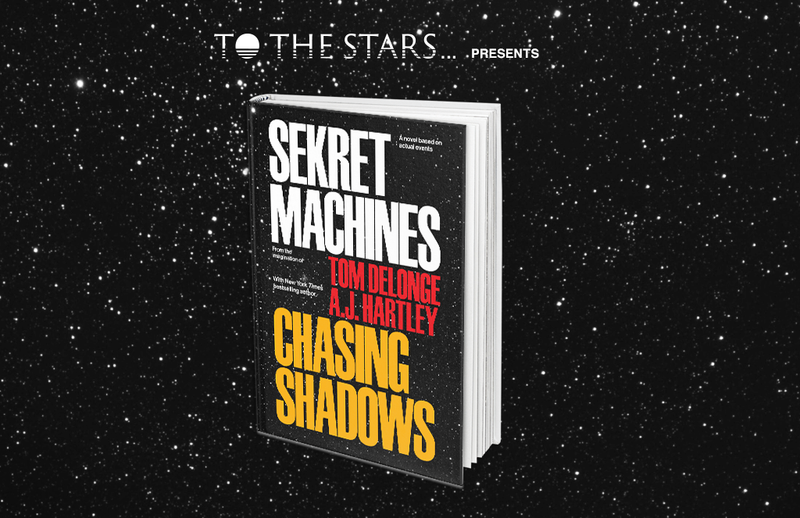 Whatever its ultimate purpose, it would appear the Sekret Machines project is not designed to serve you, but to serve officialdom and, of course, Tom DeLonge: “I just announced my project, and the pre-orders of the Novels went up,” he enthuses to John Podesta in a leaked email from February 2016. 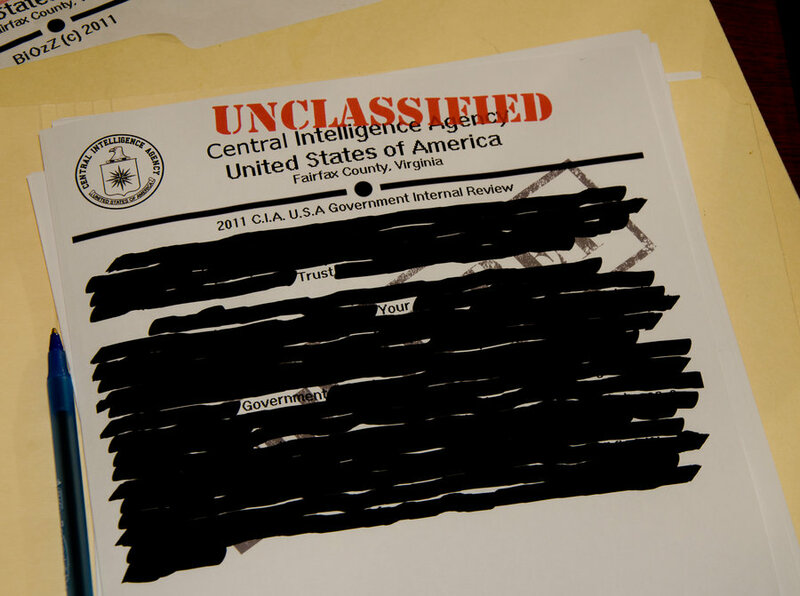 The nature and very existence of deep-black, unacknowledged special access programsoperating without official oversight is generally considered a nefarious thing—a fundamentally undemocratic system that allows in theory for all manner of covert illegalities and morally dubious practices. 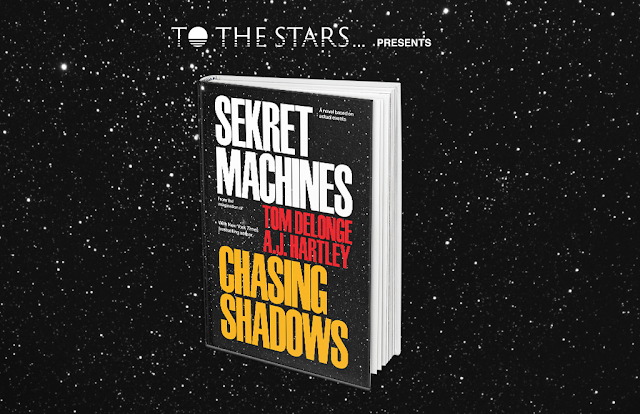 The story Tom DeLonge is (literally) selling us, however, is designed to soften our attitudes to institutionalized secrecy and to burnish the image of the US military-intelligence community. The emerging Tom DeLonge story is nothing new. It’s merely a consolidation of existing ideas planted some four decades ago by military intelligence operatives. The information that DeLonge is presenting—and will present—is not the truth, it’s theirtruth (whoever ‘they’ are). At best, it’s a waste of our time—a distraction. At worst, it serves as soft propaganda in support of the US National Security State. It is worth noting here how DeLonge became immersed in the secret world of UFOs. In his book, he describes his journey into the inner circle as a series of opportunistic handshakes and questions directed at the right people at the right time. 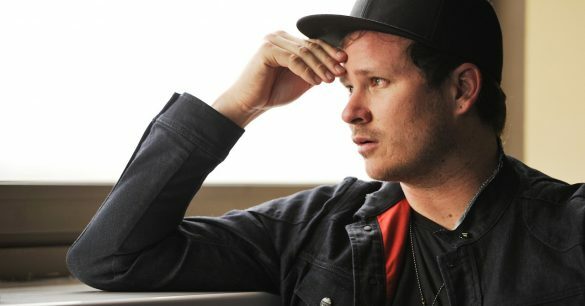 However, to the discerning reader, it’s obvious even from DeLonge’s own accounting of events that he was manipulated from the outset and encouraged to believe he was making his high-level connections through his own autonomous investigations. It’s more likely that DeLonge had been pegged as an ideal disinformation conduit long before he shook that first hand (he’d publicly declared his UFO obsession as early as 2014 in various media interviews). One person introduces him to the next, and so on, all feeding him a new piece of the same ‘puzzle.’ I should emphasise that I’m not accusing DeLonge of wilful deception. Rather, I’m suggesting he is being used as an unwitting tool in the furtherance of varying hidden agendas, only some of which may relate to UFOs. In parts Two and Three of this article, I will contextualise the DeLonge story within the framework of historical UFO perception-management efforts dating back to the 1970s. I will trace the emergence and development of a clear and consistent National Security narrative sown by, and in the long-term interests of, the US military-intelligence apparatus. It’s an elaborate tale of exotic technology, high-stakes, tough decisions, military prowess, and unsung heroes. 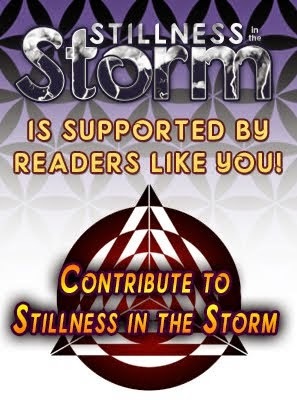 It’s exactly what you were meant to believe, and it’s worryingly close to what many in the UFO community have come to accept as the ‘core story’ (i.e. true story) of the modern UFO phenomenon. It’s a narrative that distracts you away from the UFO enigma itself and pulls you into an impenetrable web of shadows, half-truths, allegations, and assumptions. It offers us nothing but belief and the unwavering certainty that ‘Truth’ must surely be around the next blind bend. It’s a smoke-and-mirrors illusion that has us all looking one way, while the phenomenon itself—whatever it represents—is off somewhere else entirely, doing its own thing, as it has always done, in spite of all official efforts to monitor and control it. It seems likely that elements within official power structures have more pieces of the UFO puzzle at their fingertips than do the rest of us, but it is extremely improbable that they have succeeded in solving the puzzle. Despite appearances and the power of their egos, in a universe that is some thirteen billion years old, the secret-keepers are monkeys like the rest of us, flailing around for answers in the early years of the 21st century on a planet whose dominant trend is war. It is doubtful the powers that be can even comprehend the underlying nature of UFO phenomena, much less explain it. Should officialdom ever ‘come clean’ on the UFO issue, we should all be immediately and extremely suspicious. 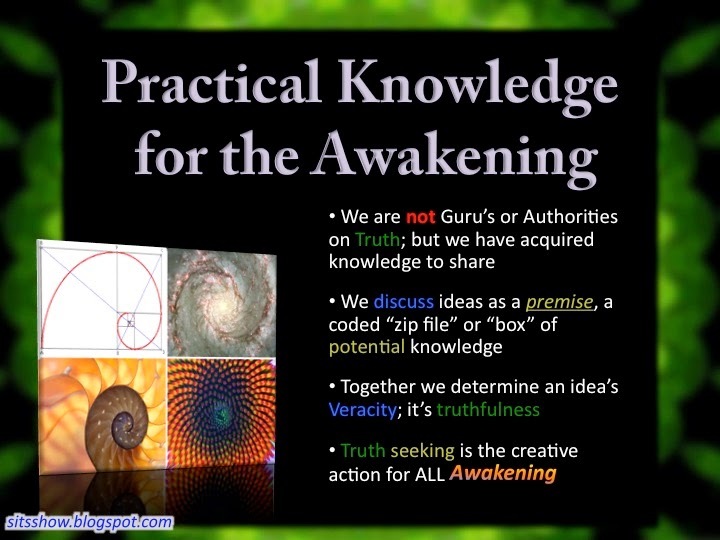 UFO truth by way of official power structures will not be truth at all. It will, by necessity, be whatever truth least vilifies and incriminates the architects of secrecy. With this in mind, if he is, as he claims, the mouthpiece of the real Men in Black, we should all be extremely suspicious of Tom DeLonge. Robbie Graham is the author Silver Screen Saucers: Sorting Fact from Fantasy in Hollywood’s UFO Movies.